I have always had different views on particular topics. This time I wanted to describe what the word "happiness" means to me. There are countless people in the world with countless opinions on various topics. Some people think that being rich gives happiness, some think it is love, some think it's celebrity, and some have their own reasons that make them happy. So what is happiness? There are many people who were rich, famous, they had a lot of relationships and they committed suicide anyway. In my opinion, being famous or rich is the thing that causes sadness. It's hard to find real people. Next to you, there are people who are with you only for your money, they envy you and even hate you. If it's not money and fame, will you say love? It may or may not be. Love can be the most beautiful experience but also the worst. How many people in the world I cry, how many people in the world have depression or even commit suicide through failed relationships. So what is real happiness? Is it possible to describe it in one word? No! Is happiness permanently? No! Everything is in your mind. It's up to you whether you're happy or not. There is no such thing as time. There is only a moment. Whether you'll be happy at this moment or not depends on what's in your mind. Some people are fat and sad, some are fat and happy. Some live until the end of their lives alone, and some can not stand without the other half. Some people have a hard past, no parents, some have no arms or legs. It only depends on them whether they will go through a smiling life or break down. I saw a large number of people in difficult situations, it gave me a lot to think about. Unfortunately, it's not so easy to change what's in your mind. We must ask ourselves a question. Who we are? Why were we born? What makes us happy? The birth itself has no purpose, until we get to know ourself's and discover our desires. 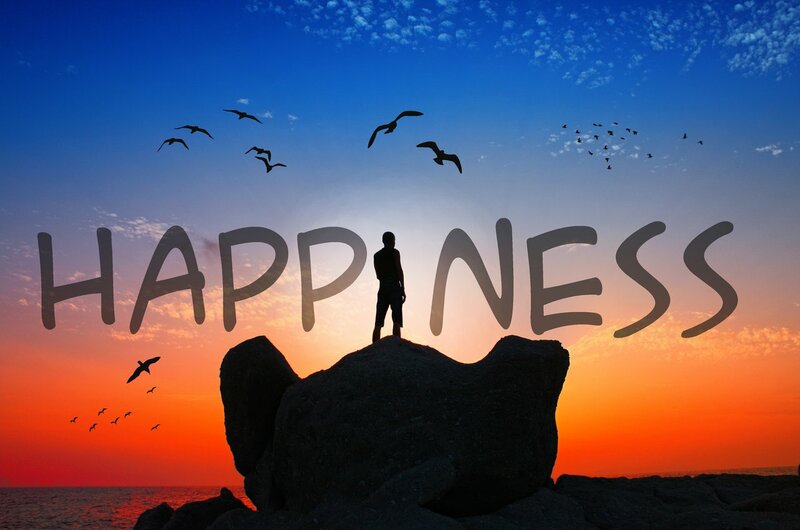 Happiness is a very difficult topic. It can not be captured in words. Everyone is different and you have to get to know yourself. I have not succeeded in this yet. I still do not see the meaning of my life. I am looking ... I am looking for a place between food, drugs, alcohol, gym, love. I still try to discover myself. What I really want, what will make me truly happy. I hope each of you has found it. The meaning of your life and real happiness. If you have not found it yet. Search ... Search ... until you find. So at the moment of death you can die with a smiling face.